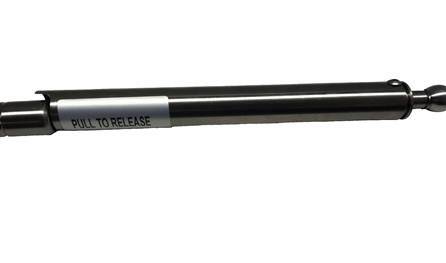 Locking Mechanism Accessory for Gas Springs - Ameritool Mfg. The locking mechanism accessory mechanically locks the gas spring in the fully extended position. This is available for our 750, 875 and 1165 series gas springs. Suitable for use in any environment. Adding locking mechanism to the 1100 series gas springs is going to shorten the extended length by 1” and the compressed length will remain the same. If you have any questions on our locking mechanism, contact us today.